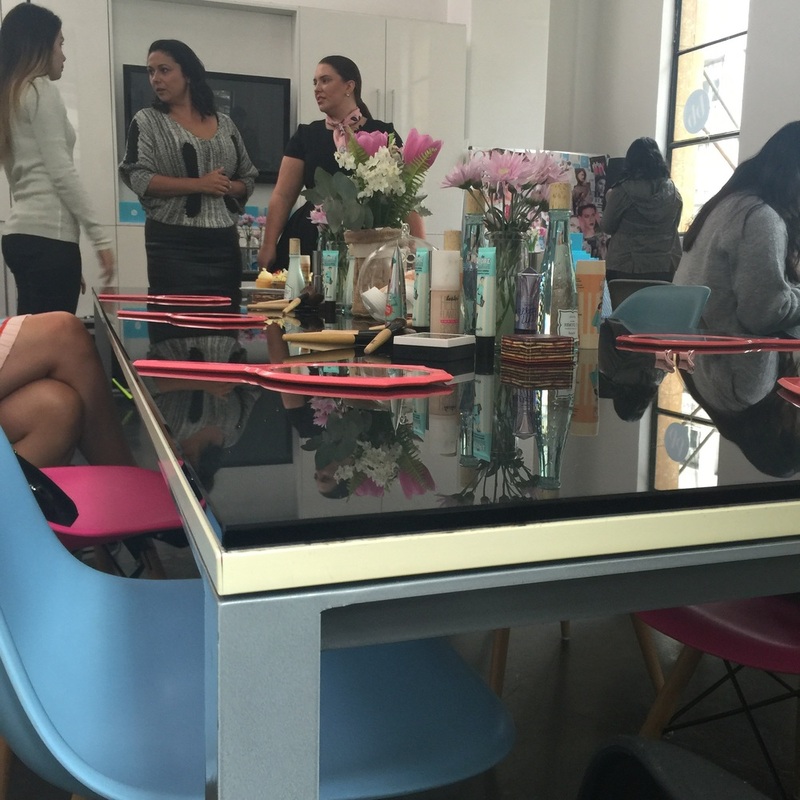 Recently I was invited to Bella Box's HQ in Melbourne town for a fun Master Class makeup event with Benefit Cosmetics. Benefit is known for their quirky take on the beauty industry and innovated ideas. BellaBox is a monthly beauty sample subscription, products are specially tailored to your beauty profile. It's great for when you want to try out both new and cult beauty products each month! On the day, it was all about using their POREfessional range. The range when applied quickly minimises the appearance of pores & fine lines for smoother-than-smooth skin! To begin our beauty master class, we removed our makeup with the POREfessional instant wipe out masks, which are amazing because they're a dual-sided face mask cleans out AND smooths out the look of pores around your forehead, nose, and chin! The specially textured fabric woven from cotton fibers helps exfoliate & remove pore impurities. Pretty cool, especially if you fly a lot for all you travel foxes out there! For the base, we applied POREfessional face primer before applying the hello flawless oxygen wow! liquid foundation. The primer made applying the foundation a dream because it made the foundation glide on the face. To set everything the POREfessional agent zero shine was used, and this product is super spiffy because inside the lid is a small brush for you to use this product on the go! Great to touch up throughout the day too! Next up Contouring with their bronzer 'Hoola' and finished with a little glow dandelion shy beam liquid highlighter and a swipe of 'they're real' mascara. So there you have it! A Pore free make routine! Until next time Foxes, and don't forget to check out the video below to experience what I experienced on the day!